As president of the Asean Inter-Parliamentary Myanmar Caucus (AIPMC), I feel it is important to express my deep regret for the failure of the world to react appropriately to the killing and persecution of Muslim ethnic Rohingya in Rakhine State, Myanmar. It is also regrettable that the recent visit of US Secretary of State Hillary Clinton to Southeast Asia occupied the attention of most international media while neglecting and thus tolerating grave crimes against humanity in Myanmar. The AIPMC is deeply troubled by the sectarian strife in Rakhine and concerned by the solution to the violence proposed by President Thein Sein. His solution to decades of sectarian violence and unrest does not express a willingness to promote national reconciliation, which the president campaigned under as part of his democratisation agenda. Despite the flow of some of new migrants from Bangladesh, many people of the Rohingya minority have lived in areas of Western Myanmar for more than three generations. The AIPMC therefore urges the government of Myanmar to find a fair and just solution to the current unrest, which includes a permanent solution for the hundreds of thousands of stateless Rohingya who live in western Myanmar and in makeshift refugee camps in neighbouring Bangladesh. The Rohingya who have lived in Myanmar for generations must be recognised and granted citizenship. The government has a duty to protect and provide for these people. Seeking to unload responsibility onto the UN is not an acceptable solution and the suggestion from the country's president betrays the systematic persecution of the Rohingya population for generations. The AIPMC also urges Asean and the United Nations to urgently respond to this latest outbreak of the crisis and take immediate action to protect people, including women and children, from violence and persecution. It must provide emergency assistance to thousands of refugees displaced from their homes by recent violence. Asean must work with the Myanmar government to find a lasting solution to the problems of Rakhine and stand up against any persecution of individuals on ethnic and/or religious grounds, especially if it comes from state authorities. The AIPMC finds it difficult to accept the US government's decision to ease economic sanctions in Myanmar due to supposed reforms in the Asean member state, while a blind eye is turned to the clear violations of international law in the persecution of the Rohingya by neighbouring Arakanese, as well as the Myanmar government's refusal, on ethnic and religious grounds, to grant them citizenship. A serious and concerted effort is urgently needed to avert further violence and find a lasting solution to these problems. A failure of the international community to act is reprehensible and could threaten the long-term success of Myanmar's nascent reform process. 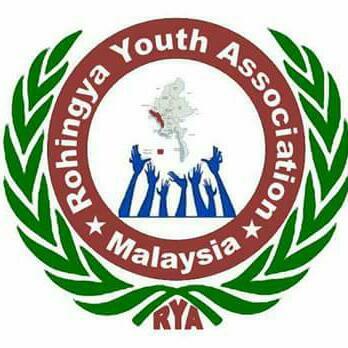 Immediate action is necessary to end the suffering of the Rohingya people.